Join us for a community meeting about the pending BridgePark project. 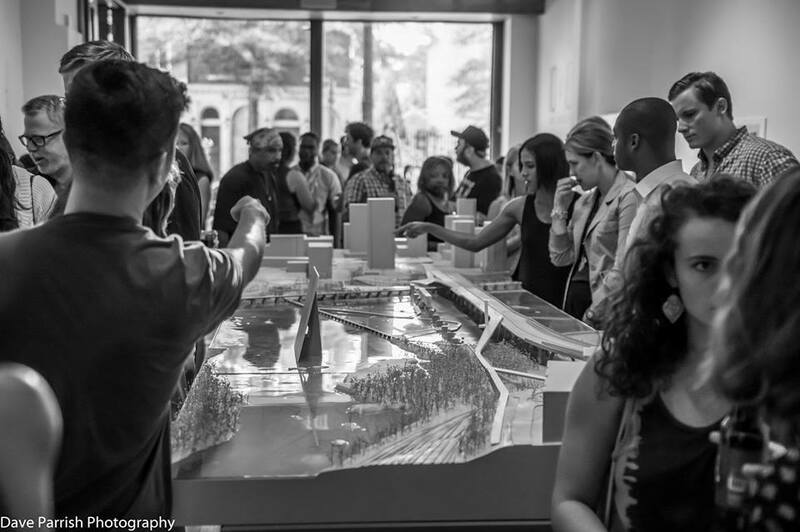 Attendees will view the architectural site model, hear a presentation from BridgePark President, Ted Elmore, ask questions, provide feedback, eat cookies, and drink milk. Come participate in this exciting idea for Richmond! Free to attend. Remarks begin at 6:00 pm in the Marble Hall. BridgePark is a community and non-profit led effort to bring a series of park spaces and green pathways to the riverfront and downtown Richmond. This event is part of an extensive series of public discussions and community engagement around the idea. The 28-foot long BridgePark model and images about the park plans are on display and open to the public in the Library’s Marble Hall throughout January during regular library hours. Come visit the exhibit before it moves on! Special thanks to Red Eye Cookies for the sweets and Dave Parrish Photography for the sweet photo.